We stock woven and non-woven geotextiles made from 100% polypropylene or polyester. 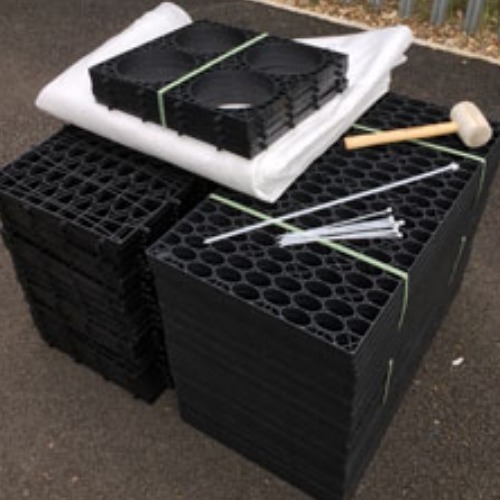 These membranes are ideal for separation, reinforcement, drainage and soil stabilisation applications. Woven Geotextiles which are generally black in colour are most often used for stabilising and separating layers of soil during road and pavement construction as well as in gardening projects. 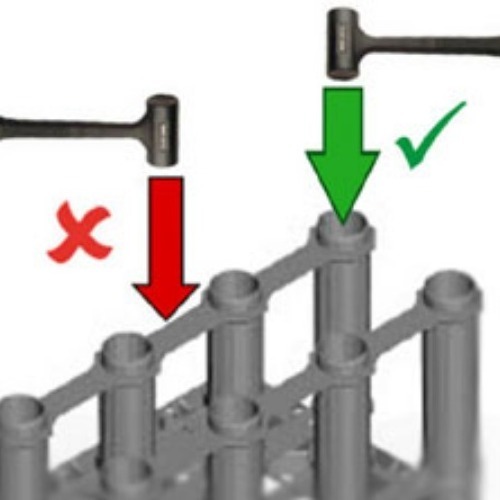 Woven membranes also help to reinforce aggregate layers ion civil engineering projects, providing a separating layer which stops ruts from being created. Non Woven Geotextile membranes give the best rates of water flow and filtration, and therefore they are commonly used to wrap the outer surfaces of water crates and land drains to prevent soil particles from entering and clogging the soakaway or land drain. Both types of membrane can be supplied in full 100m rolls or by the metre. The width of each roll is 4.5m. Want some advice on how to install your soakaways, or interested in finding out more about our product range, take a look at our guides & tips. How Should My Pipe Enter The Soakaway Crate? How Do I Know What Size My Soakaway Should Be? What Is Included In My Cubic Metre Soakaway Set? What Is A Silt Trap And Why Should I Have One?